For the ultimate tile adhesive, you can do no wrong in choosing the TileFast Superior. 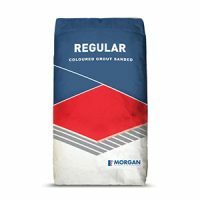 This superior-grade tile adhesive comprises fine graded sands, cement and some special additives in an off-white finish. It is suitable for bonding wall and floor tiles in indoor and outdoor applications. 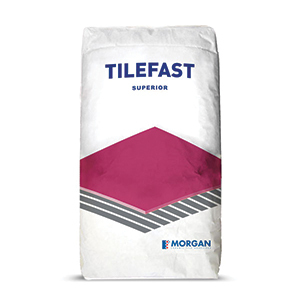 TileFast Superior is available in a standard 20kg bag. This tile adhesive offers an excellent blend of high performance, versatility, and affordability in a single package. 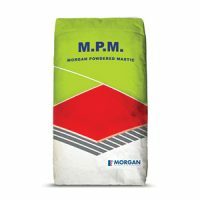 It is suitable for use on cement rendered substrates for bonding natural stone, monocottura, bicottura and fully vitrified tiles. However, it is not suitable for bonding MDF boards, timber, moisture sensitive marble and substrates that experience continuous water immersion. As a high-quality tile adhesive, TileFast Superior is safe, non-toxic and easy to use. It is modified with polymers and offers excellent bonding strength with non-porous tiles. With a 10 year guaranteed, this tile adhesive is tested to meet the ISO 9001:2000 and AS 3598 standards. For quality tile adhesives in Perth, you’ll find nothing better than TileFast Superior at Ross’s Discount Home Centre. 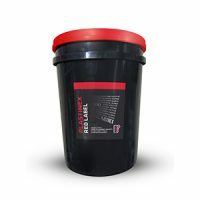 Buy this superior grade tile adhesive at the best price from our online store today!